Peaks displayed on top of this iceberg that has made its way to Iceberg Alley in Newfoundland, Canada will slowly disappear as the iceberg melts a little each day. 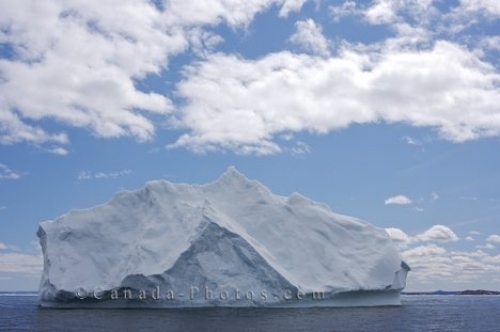 An iceberg is a fascinating form of nature's wonders as the shape and size are continuously changing as the weather warms up around Newfoundland. Picture of an iceberg with peaks that resemble that of a mountain as it leisurely floats around Iceberg Alley in Newfoundland.